Fives has developed a range of Virtuo® Level 2 software solutions, based on solid algorithm architectures and physical models combined with process data gathered in real-time. These thermal optimization solutions enable performance enhancements and better thermal control for optimum production quality and efficiency. 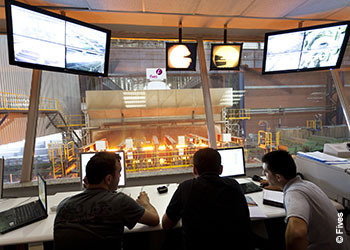 Virtuo® Level 2 solutions can be applied for strip process management of vertical and horizontal furnaces, including unique model predictive control. There are also dedicated solutions that can be applied to reheating furnaces to control all the functions and achieve smart process optimisation. Multi-dimensional thermal calculation with rules that can be customized according to steel grade and production requirements. New transition management with priority targets and real-time adjustment, giving a higher production rate without degrading heating quality. Enhanced control with optimal zone temperature set-points to ensure that all the products reach discharging targets with required uniformity. 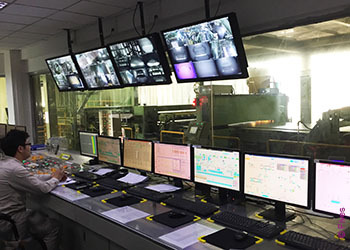 Stabilized furnace pressure control through improved burner ignition sequencing, enabling steelmakers to meet environmental constraints by improving furnace atmosphere control and shortage management to lower NOx and limit scale loss. Ability to define the optimum order of production schedule to optimize cost effectiveness, thus reducing unnecessary or difficult transitions and optimizing product stock delivery while extending equipment lifetime. 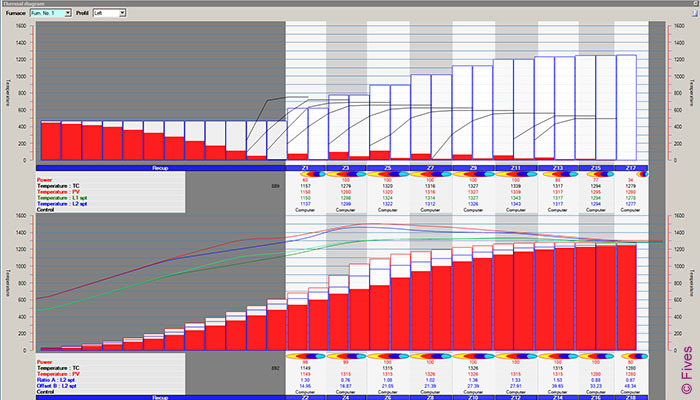 MS Windows based application with low CPU usage, user-friendly HMI that speaks your language for ease of use. Over 250 industrial references in 30 years in new or revamped furnaces.